Robert Butcher was born in 1834 in Liverpool, Lancashire, England, son of Edward, a mercantile clerk, and Isabella, née Harrop. He was christened on 22 March 1835 at St Peters Liverpool. In Sydney, he married Robina Mary Gibbon on 8 February 1855 and had four sons and four daughters. Following her death in 1868, he married Mary Theresa Kean on 17 August 1869. Robert Butcher died on 14 October 1888 at Waverley. The family were Roman Catholics. Robert Butcher left school at an early age and worked for three years in the offices of Gibbs, Bright and Company. He came to the Australian goldfields in 1852. In 1861 he was working as a clerk for William Long, wine and spirit merchant, becoming manager and proprietor after Long’s death in 1876. By 1885, Robert Butcher and Co, wine merchants, were advertising at 634 George Street, Sydney. In 1861 he lived at Robina Cottage, 395 Crown Street, later moving to South Head Road, Woollahra. Butcher was a director and trustee of St Joseph’s Investment and Building Society, a director of the Sydney Hospital, and a juror for the Sydney International Exhibition. Robert Butcher was elected MLA for Paddington, 2 December 1882 to 26 January 1887. Butcher was Alderman of Woollahra Council from 21 December 1877 to 2 February 1886 and Mayor from 1881 to 1886. 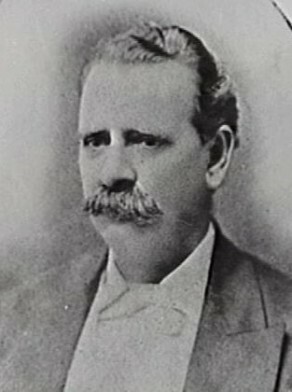 He was elected Alderman of Sydney City Council for Macquarie Ward from 1 December 1880 to 30 November 1883.